There are currently no known treatment options that actually halt or permanently reverse the pathology evident in any neurodegenerative condition. Arguably, one of the most promising avenues for creating viable neuronal treatments could involve the combined use of cell replacement and gene therapy. Given the complexity of the neurodegenerative process, it stands to reason that adequate therapy should involve not only the replacement of loss neurons/synapses but also the interruption of multiple pro-death pathways. Thus, we propose the use of stem cells that are tailored to express specific trophic factors, thereby potentially encouraging synergistic effects between the stem cell properties and those of the trophic factors. The trophic factors, brain-derived neurotropic factor (BDNF), glial cell-derived neurotropic factor (GDNF), fibroblast growth factor (FGF) 2, and insulin-like growth factor (IGF) 1, in particular, have demonstrated neuroprotective actions in a number of animal models. Importantly, we use a nonviral approach, thereby minimizing the potential risk for DNA integration and tumor formation. The present study involved the development of a nonviral reprogramming system to transform adult mature mouse fibroblasts into progressive stages of cell development. We also tailored these stem cells to individually express each of the trophic factors, including BDNF, GDNF, FGF2, and IGF1. 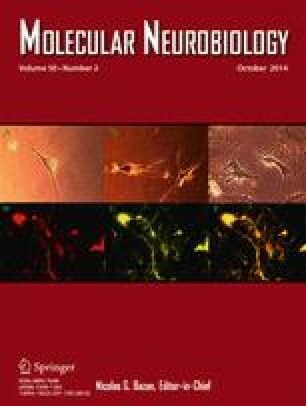 Significantly, central infusion of BDNF-expressing stem cells prevented the in vivo loss of neurons associated with infusion of the endotoxin, lipopolysaccharide (LPS). This is particularly important in light of the role of inflammatory processes that are posited to play in virtually all neurodegenerative states. Hence, the present results support the utility of using combined gene and cell-targeting approaches for neuronal pathology. The online version of this article (doi: 10.1007/s12035-014-8680-2) contains supplementary material, which is available to authorized users. S.H. and H.A. are Canada Research Chairs and this work was supported by grants from the Canadian Institutes of Health Research.